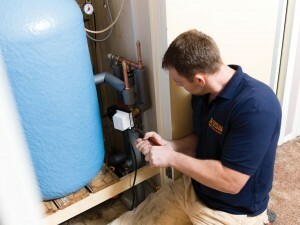 BSW Energy provide professional boiler repairs in Hove and further afield, among a wide range of other services. With a fully qualified team of engineers always on hand to assist clients, we provide essential assistance with a range of issues across all types of central heating and boiler systems. BSW engineers are all qualified to work with every type of boiler brand, including Glow Worm and Worcester-Bosch. Our team of certified engineers carry out boiler installations in Hove for both commercial and residential customers. If you are a homeowner or landlord looking to replace an existing boiler, our team can offer expert and impartial advice on the process. We also work with architects and developers on new build projects. If you are looking to roll out boiler installations across multiple properties or sites, our engineers can assist. A boiler breaking down can cause a lot of stress and tension, particularly during the winter for many families. It is important that you are able to get your boiler up and running again as quickly as possible. As a boiler is a key component to any home, BSW provide our dedicated repair service designed to provide professional help when you need it most. Where necessary, BSW can also provide boiler replacements for those occasions where a repair is simply not enough. All our expert engineers are fully GAS Safe and APHC accredited, with the qualifications to install any and all boiler brands. Drawing from several decades’ worth of experience, the dedicated team at BSW have maintained strong family work ethics to build BSW up from a family run business to one of the leading central heating companies in the South East, with over 100 employees. We work extremely hard to provide the best possible service, at competitive rates, offering a wide range of boiler repair and replacement services to clients across Hove and further afield. As well as first rate boiler repairs and boiler replacement services in Hove and the surrounding area, BSW engineers are also fully accredited for the supply and installation of renewable energy systems under the Microgeneration Certification Scheme (MCS). Renewables that we install include Solar PV Panels, Air Source Heat Pumps, Biomass Boilers and more. If you are considering a more environmentally friendly way of heating your home following a boiler breakdown, we can provide the professional assistance you need. Whether you are looking for professional advice on the best renewable system for your home, you require assistance in repairing your boiler, or you would like to find out more about the other services we provide, contact us today. We also provide a free, no obligation home visit where we will assess your current situation in order to recommend a central heating system ideal to suit your needs. Clients both old and new can easily get in touch with us by calling 01444 831138 or by filling out the enquiry form found in the sidebar to the right. We look forward to hearing from you soon. For advice, assistance and professional boiler repairs in Hove, look no further than the expert team at BSW Energy.